Philippines, June 2016 – The most creative and talented professionals in the country all gathered together in the recent Graphic Expo 2016 inside the SMX Convention Center in Manila from 2 to 4 June 2016. Over 100 corporate exhibitors showcased the latest innovations in different fields including printing and imaging in the three-day event. 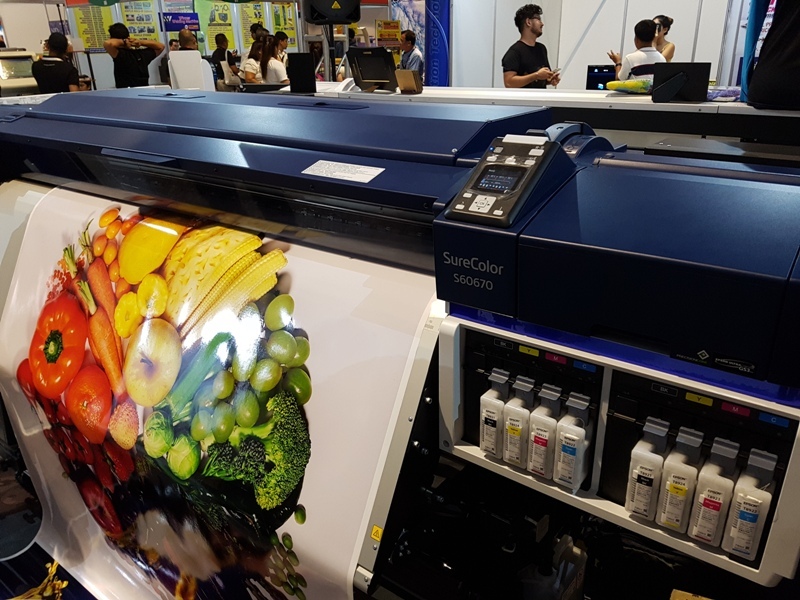 With Epson Philippines as one of the major sponsors of the Graphic Expo 2016, the event unveiled the newest S-Series signage printers, as well as a showcase of Epson’s latest products. The Epson SureColorTM S-Series printers are Epson’s latest high-performance roll-to-roll eco-solvent signage printers with new technological advancements. Its extensive features include the high-performance PrecisionCoreTM TFP printhead that delivers output quality at high speed, a new Print Mode that improves image quality by reducing visible banding, and an auto media adjustment system that ensures great ease on every task. In addition to showcasing Epson’s latest products in action through the live demonstration, Epson also explained the benefits of owning an Epson S-Series signage printer through product talks held during the event. “We’re definitely happy to be a part of the Graphic Expo 2016 because we believe this event is truly an avenue where long-time entrepreneurs, artists, aspiring business owners and even technology aficionados all come together,” shared Pamela Albar, head of Epson Philippines Corporation’s Commercial & Industrial Printers business. “All our S-Series signage printers are able to withstand the most demanding tasks and in the long run, also allow business owners to lower overhead costs. Customers not only get quality Epson products but also experience Epson’s brand of customer service with every purchase,” added Ms. Albar. Along with the newly-launched S-series printer, other Epson products were also showcased during the Graphic Expo 2016. Photography aficionados were particularly amazed by the capabilities and highly-detailed output of the SC-P7000 while retail enthusiasts were impressed by the efficiency and speed of the SC-F9270 textile printer. The new S-Series signage printers that were presented during the Graphic Expo 2016 are now available in the Philippines. The SC-S40670 retails for Php910,000.00, while the SC-S60670 is priced at Php1,220,000.00, and the SC-S80670 is Php1,330,000.00.